Pioneer Works believes that reading exists at the foundation of all creative practice, irrespective of subject of format. 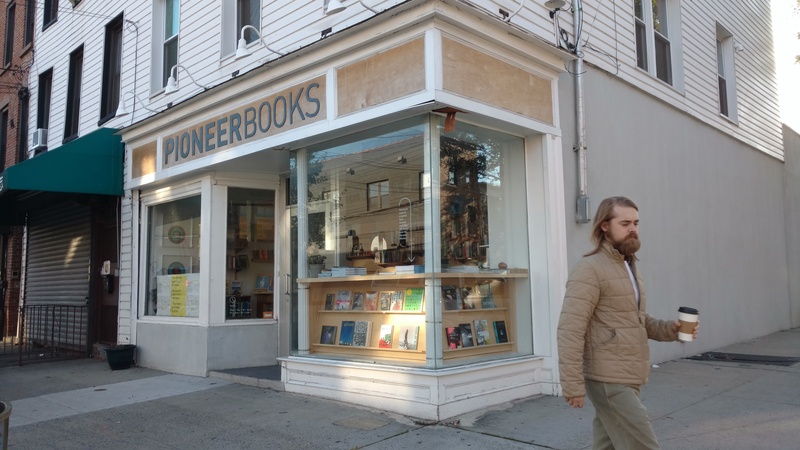 Located just steps from Pioneer Works at 289 Van Brunt St., the bookstore offers a focused and changing roster of titles that connect to and inspire the cross-disciplinary underpinnings of the center’s mission. Titles range in subjects from art, poetry, philosophy, science, anthropology, ecology, architecture, psychology, technology, DIY methodology, children’s books, mysticism and renegade zines.